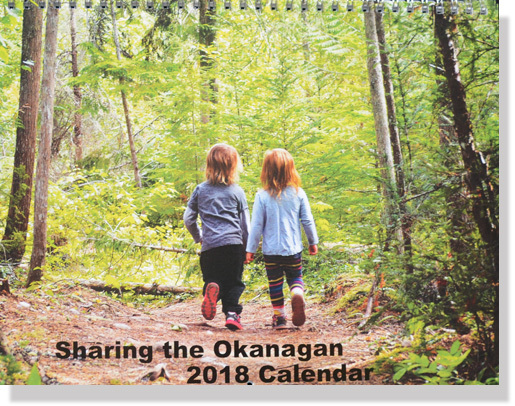 2018 Calendar – Photos of the Okanagan, selected by the judge from the photo contest, adorn the pages of this beautiful calendar. It is printed on high quality calendar stock, each photo measuring 8″ x 10″, with every month featuring plenty of room to note the events of each day. The calendar, with a centre coil, measures 17″ x 11″ when opened and is an easy-to-mail gift. Order online and have it delivered to the recipient. To purchase click the appropriate button below. Prices include shipping/handling. **Please note these calendars are also available for purchase at the Schubert Centre in Vernon.